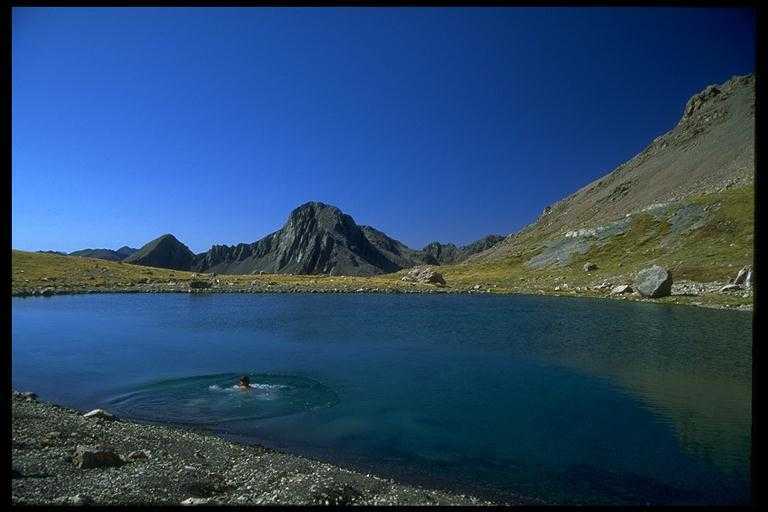 This is what summer tramping is about... a cool swim on a hot windless day after crossing a pass with a heavy pack. Falling Mountain (1900m), on the other side of the valley, is so named because it collapsed in a major earthquake in 1948(?). Taruahuna Pass below is one of the higher passes on the Divide in this region, partly due to the debris from the landslide.